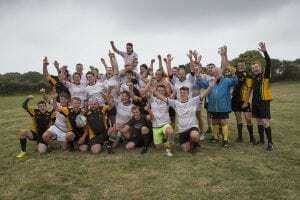 The newly formed rugby team from Alderney, the Ridunians, was on the island recently for their first game against a Sark team. 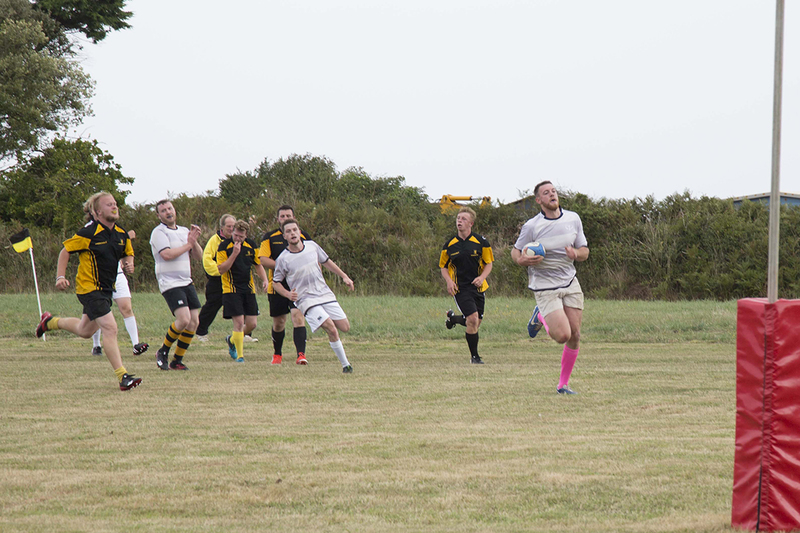 The match was played in the Mermaid field with the home team winning 25 to 14. The event got off to a humorous start when the visitors turned up in black and gold kit, the same colours as the Sark team. Confusion was averted when the local team offered to turn their kit inside out to turn it white. Both teams thoroughly enjoyed their match, despite some minor injuries and a broken nose, and hope to make it an annual fixture.